The Leader in the Foundation Repair/Waterproofing Industry, that pays for performance, is seeking individuals with leadership skills and potential, who are career-oriented, to hire as foremen or develop into project foremen. The Basement Doctor works year-round, and our foremen are responsible for the installation of the company’s waterproofing and foundation repair products according to quality standards, job specifications, and safety regulations. Our foreman work hard and get rewarded with ample pay and benefits including a Company Truck! We are the best in the business, and it shows in our dedication to our customers as well as our employees. Medical – up to 75% of premium & HRA of $2K/$4K paid for by Company! Access to tickets to PromoWest concerts and sporting events!  You can feel good knowing that The Basement Doctor was selected as one of Columbus CEO and 10TV’s Top Workplaces for 2015 and 2016! We pride ourselves on our dedication to Quality, Responsibility, and Integrity. Candidates must have good mechanical aptitude, with a minimum of two years construction-related experience. Proven record of dependable work history, valid driver’s license, ability to work in a drug-free environment are essential. Starting compensation based on experience and ability to accelerate in our training program. Send Resume to arrange for a personal interview.